Kalamazoo, Mich. – Imperial Beverage is proud to join in the month-long celebration of Michigan wine during Michigan wine month, which runs through May. Michigan is the fifth-largest grape-producing state in the nation and is a top 10 winemaker. Our state boasts more than 100 wineries, which produce 2.3 million gallons of wine each year. LANSING – A new report released today shows just how big of a business beer is in Michigan. The Beer Serves America data, released by the National Beer Wholesalers Association and the Beer Institute, finds the state’s beer industry had an overall economic impact of more than $10.5 billion in 2016. According to the report, Michigan beer distributors employ 4,752 people and have a direct economic impact of more than $860 million. The state’s entire beer industry, which includes brewers, distributors, retailers and supporting industries like agriculture, transportation and manufacturing, pumped more than $10.5 billion into Michigan’s economy in 2016. 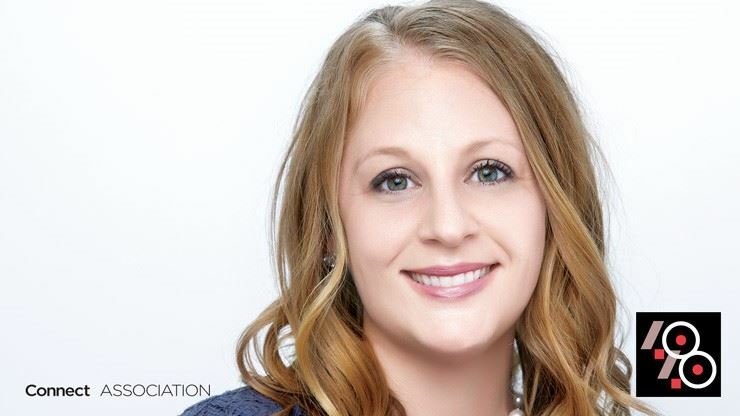 LANSING — Michigan Beer and Wine Wholesalers Association’s very own Brandi Tribell has been recognized as a 40 Under 40 honoree by Connect Association Magazine. Connect Association Magazine’s 40 Under 40 recognizes the most influential people across the country who are shaping the future of association meetings and events. As the Director of Operations and Events, Tribell is in charge of coordinating all of MB&WWA’s events from concept to actual implementation, including contract negotiations, event budgets and on-site management for their annual conventions, legislative events and other special gatherings. Under Tribell’s watch, the association has seen attendance grow at its annual summer convention five years running, breaking their attendance goals by 20 percent. Traverse City, Mich. – Great Lakes Wine and Spirits, Michigan’s largest wine wholesaler, is proud to join in the month-long celebration of Michigan wine during Michigan Wine Month, which runs through May. Great Lakes Wine and Spirits proudly distributes for 19 Michigan wineries including Black Star Farms, Chateau Grand Traverse, Leelanau Cellars and Tabor Hill. Great Lakes Wine & Spirits is Michigan’s largest wine, liquor and beer distributor. With 1,000 employees and ten facilities across the state, GLWAS services nearly 17,000 accounts in all 83 Michigan counties on both peninsulas. For more information, please visit www.GLWAS.com. ROMULUS, Mich. – West Side Beer Distributing, a locally owned beer distributor with four locations in Michigan, including Romulus, brought the renowned Save A Life Tour to Romulus High School today. The program uses a mix of heartfelt personal stories and realistic simulators to underscore the importance of safe driving and to show the effects of impaired and distracted driving. The comprehensive, high-impact safe driving awareness program informs, educates and demonstrates the potentially deadly consequences resulting from poor choices and decisions made by drivers. The program places emphasis on distracted driving, impaired driving and proper seat belt usage. DETROIT – Great Lakes Wine and Spirits is celebrating Earth Day by renewing its commitment to protecting Michigan’s air, land and Great Lakes. The distributor has transitioned to energy efficient lighting in its Highland Park facility and operates a fleet of fuel-efficient delivery trucks. All delivery trucks have automatic shut offs if they idle for more than three minutes. Their facility also has car-charging stations, which are used by employees for their personal cars as well as company-owned electric vehicles. Great Lakes Wine and Spirits is a statewide distributor of beer, wine and spirits, operating nine facilities across the state. Its two largest facilities, in Highland Park and Detroit, feature E24 powered roller conveyors, which reduce energy consumption by as much as 60 percent at both locations. 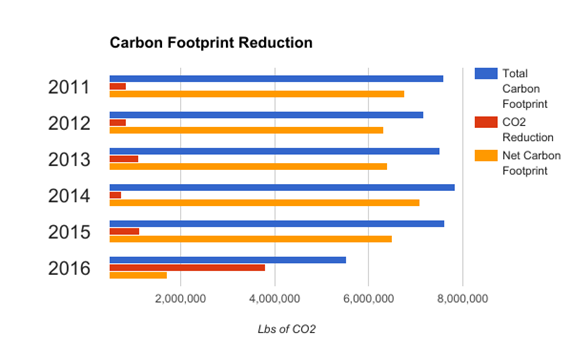 ORION CHARTER TOWNSHIP, Mich. – Powers Distributing is celebrating Earth Day by renewing its commitment to protecting Michigan’s air, land and Great Lakes. The Orion Charter Township-based beer distributor, which serves retailers in Oakland and Macomb counties, has installed 16,000 feet of solar panels, cutting monthly electric costs by $2,000. Powers Distributing also operates the world’s largest privately-held hybrid fleet of tractor trailers, uses and a rainwater collection system to irrigate the area around its warehouse and recycles everything from cans and bottles to shop metal and wooden pallets. BATTLE CREEK, Mich. – Atlas Sales Inc. is celebrating Earth Day by renewing its commitment to protecting Michigan’s air, land and Great Lakes. 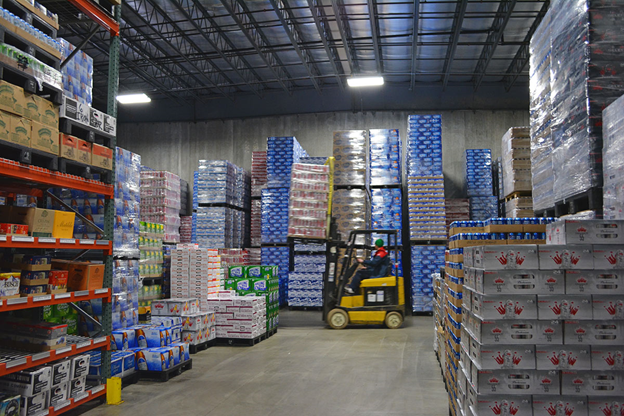 The Calhoun County beer distributor has transitioned to energy efficient lighting, operates electric forklifts in its warehouse and recycles more than 250 tons of cardboard, aluminum cans and glass every year. Atlas Sales Inc. also works almost exclusively with plastic, reusable pallets, which are better for the environment. PORT HURON, Mich. – Earl Smith Distributing Company is celebrating Earth Day by renewing its commitment to protecting Michigan’s air, land and Great Lakes. The Port Huron-based beer distributor, which serves retailers in St. Clair, Sanilac, Tuscola, and Huron counties, has repurposed its warehouse in recent years to meet LEED standards, installed energy efficient lighting and transitioned to a streamlined voice picking system to fill orders. The voice picking system utilized by Earl Smith Distributing Company allows warehouse employees tasked with collecting the thousands of cases of beer delivered to retailers each day to do so without a cumbersome clipboard and printed orders. Instead, employees use an iPod or iPad, handheld scanner and earbuds. The system allows employees to operate more efficiently and eliminates the mounds of paper that would be printed off each day under the previous system. WEST BRANCH, Mich. – Early Friday morning, nearly 50 people aboard 22 semis and pick-up trucks set out from West Branch on a 20-hour drive to Ashland, Kansas, to deliver hay, grain, fencing, sawdust and woodchips to ranchers who have lost hundreds of thousands of acres to recent wildfires. The convoy is scheduled to arrive in Ashland Saturday. In all, over 650,000 acres of prairie grass were scorched across Kansas, making it the largest wildfire in the state’s history. “We want to thank the farmers and businesses in Ogemaw County who rallied together to make these generous donations for such a noble cause,” said Kartes.